South Korea on Thursday released a set of measures to reduce its citizens’ sugar consumption, after a recent government study revealed almost half of young Koreans aged 3-29 are eating too much sugar, leaving them vulnerable to a number of health conditions, including obesity and diabetes. The measures include requiring all local food-makers to openly share their products’ sugar levels, distributing government-certified, low-sugar recipes to restaurants and households and also banning schoolchildren from consuming certain food products with high sugar levels, such as carbonated drinks and coffee. The measures were announced just a day after the World Health Organization revealed that the number of diabetes patients worldwide had nearly quadrupled to 422 million in 2014 from 108 million in 1980. The WHO report showed that high blood sugar levels are linked to 3.7 million deaths worldwide each year, and warned that the numbers would only increase unless drastic action were taken. A study by the ministry showed that as of 2013, Koreans aged 3-29 were consuming too much sugar, with sugar accounting for more than 10 percent of their daily caloric intake. 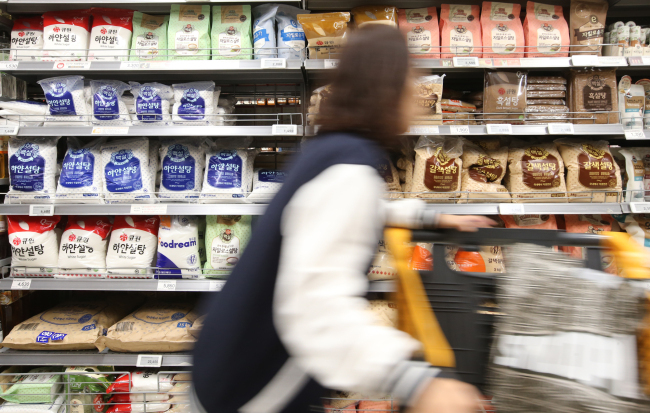 The largest proportion of the surveyed Koreans were consuming sugar by drinking carbonated drinks, followed by those who ate pastries, cookies and rice cakes. “Our research shows that those whose sugar consumption from processed foods accounted for more than 10 percent of their daily caloric intake had a 39 percent higher chance of developing obesity, and 66 percent higher chance of developing high blood pressure,” a ministry official said. South Korea has been seeing an increasing number of obesity patients in recent years. According to a study released by the National Health Insurance Service, the number of obese Koreans -- those with a body mass index of 30 or above -- accounted for 4.2 percent of the entire population in 2012, up from 2.5 percent in 2002. Almost 90 percent of the nation’s elderly population -- those aged 65 or older -- suffer from at least one chronic illness, including diabetes, as of last year.